The Amazon Echo is now available to everyone for purchase. Previously an invitation was required to purchase the Echo. It’s current release date is July 16th, 2015 and it retails for $179.99 ($149.99 for Prime Members). Not bad pricing for what’s basically a smart Bluetooth speaker. But even at this price, is the Amazon Echo worth it? While I do like my Echo, I recognize that it’s not for everyone. To help you decide if the Amazon Echo is right for you, I put together a long list of its compelling features as well as some of its limitations and drawbacks. Please see the Amazon Echo pros and cons below. My primary reason for getting the Echo is for playing music. I really like being able to play a song or playlist using verbal commands. Echo does a good job understanding what I am asking. Echo can even ID the song that is currently playing, which is nice. Music can be accessed from your Amazon music library, Pandora, TuneIn, and iHeartRadio. If you are a Prime Member, you will also have access to Prime Music. You can also upload your music to Amazon Prime. My second favorite use is asking Echo for news, sports scores, and weather. It’s works really well for these uses. I think people that own the Echo will actually use these features. Of note, I work from home so I didn’t get much use out of the traffic feature. Echo can hear you from great distances, and over somewhat loud music. Its speech recognition is pretty good and fast, assuming you are using commands it understands. Lots of features have been added over time. More features are expected. Includes a remote control similar to the Fire TV remote. You can ask Echo fun facts but it doesn’t work as well as Google Now. Echo has a lot of jokes so it’s sure to keep young kids (and some old ones) entertained. The price is pretty good considering it’s more than just a speaker. Here are the things I don’t like about the Echo (disadvantages). Audio is good but not great. Amazon would see a billion of these if the audio was better. Make available a more expensive version of the Echo, with better audio and deep bass. Spotify Support. Apple Music would be cool too. Since these are Amazon Music competitors, I wonder if these services will ever be available. Allow us to connect a pair of Echos and use them as stereo speaks for an audio system or home theater system. Provide an optional battery pack for outdoor use. I really love my Echo. I like being able to verbally play a song that randomly pops in my head. I like the news briefings and the ability to get sports scores. Since I’m a prime member, I can also access Prime music with the Echo which I find cool. This is how I mostly use the device. 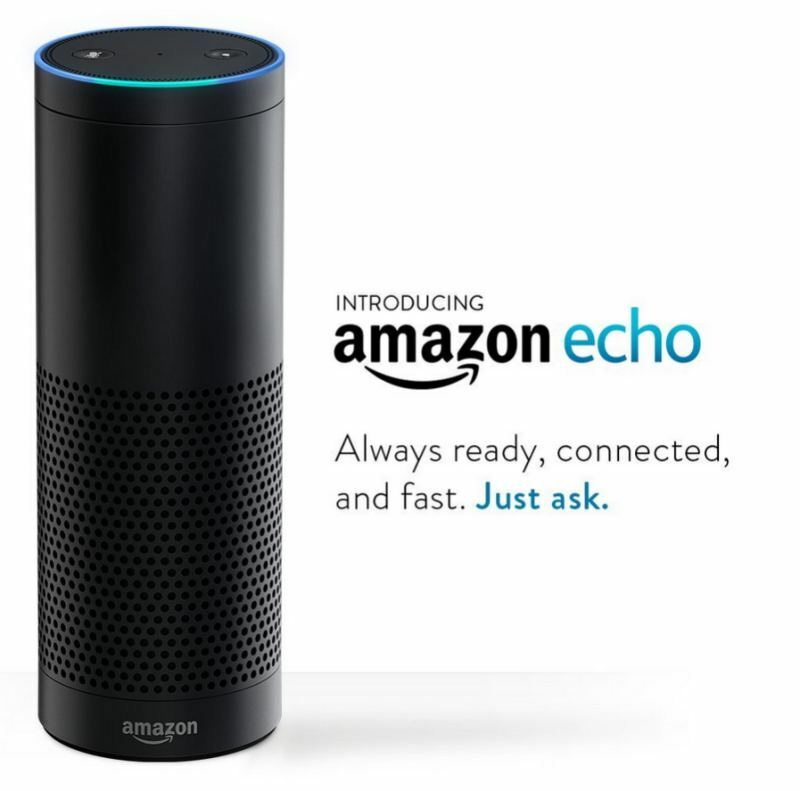 I think I will really get the most out of the echo once I start using the “connected home” functionality. The price is pretty good, considering it’s more than just a speaker. This is especially true for Prime Members that got a discount. At $99 bucks, it was a steal! Echo isn’t for everyone. If you expect to talk to it like you do your smartphone, you will be disappointed. The audio quality, while decent, does not compare to similarly priced, dedicated speakers. Yes, Echo is more than a speaker. I just believe it needs to be a good speaker before it’s anything else. I currently recommend the Echo for only early adopters and people that like gadgets. It’s definitely a great conversational piece. I just hope the next version features better audio. Perhaps Amazon can sell multiple versions of the Echo including one with great audio. Q: What music can I play with Echo? A: You can access music from your Amazon music library, Pandora, TuneIn, iHeartRadio, and Prime Music. Q: Do I need Amazon Prime in order to use the Echo? A: No. Note that Prime members can access Prime Music with their Echo. Q: Do Echo support Spotify or Apple Music? Q: How do you temporarily stop Echo from listening? A: Press the mute button on the top of the device. Q: How do I access Echo from the web? Q: Can Echo repeat a response? Q: What are some funny things to ask Echo? Alexa, who loves you baby? I use the shopping list all the time. My Echo lives in the kitchen so when I standing at the fridge and realize we need something from the grocery store. I just tell Alexa to add to shopping list. When I get store my list is on my phone. and I can delete the item as it drops in my cart. I agree it may not be a must have for everyone. But I think its a good device. I’m happy with the sound of the speaker. It’s not my Bose Sound link 2 but for the kitchen while cooking it sound nice. I would love this IF I could change the name and I would want a male voice , Im a 66 year old widow and would leant a male voice and the name just … it don’t work for me..I would use it as a voice to hear to speak to But as I stated name and gender should be choice of owner. Change that and better speakers , everyone would be buying it.